As I walked along the trail at Snow Mountain Ranch, I stopped frequently and just looked around enjoying the countryside. Almost every time, something caught my eye. This simple image of rocks and flowers was one of those moments. Photography has taught me to see the beauty and interesting things around me. Today, everywhere I look, I see something interesting that makes me step back and enjoy the moment. When I become engrossed on a photographic subject, I feel like I become part of it. I am no longer just an observer. This entry was posted in Flora, The Intimate Landscape and tagged Flora, rocks, Snow Mountain Ranch, Spring, wildflowers, yellow on May 7, 2017 by kgrafphoto. This clump of daisies (?) jumped out and grabbed me as I was walking by. It looked like the clump had a pair of antlers coming out of it. Old dead sagebrush take on very unusual shapes. 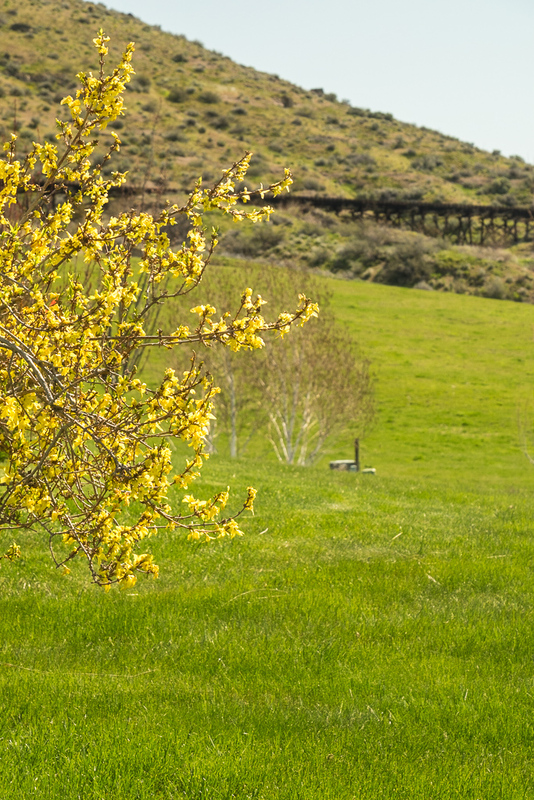 This entry was posted in The Intimate Landscape and tagged sagebrush, Snow Mountain Ranch, wildflowers, yellow on May 3, 2017 by kgrafphoto. I took a day to explore and photograph wildflowers. I tried to capture both the overall feel of the large masses of flowers and their place in the countryside as well as individual vignettes of little scenes of flowers and interesting subjects. 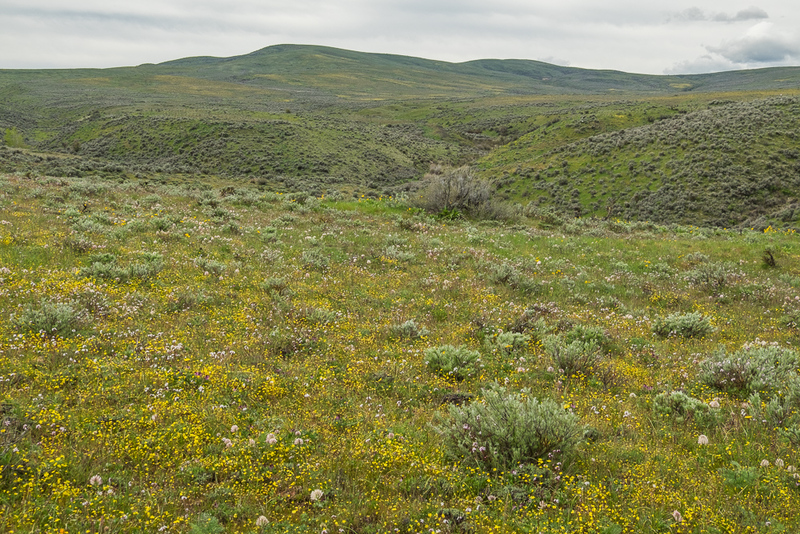 This image I attempted to capture the field of bright wildflowers set against the green hillsides covered with sage brush and bunch grass and the interesting clouds in the background. My objective was to capture the feel of the beautiful, cloudy, peaceful day. 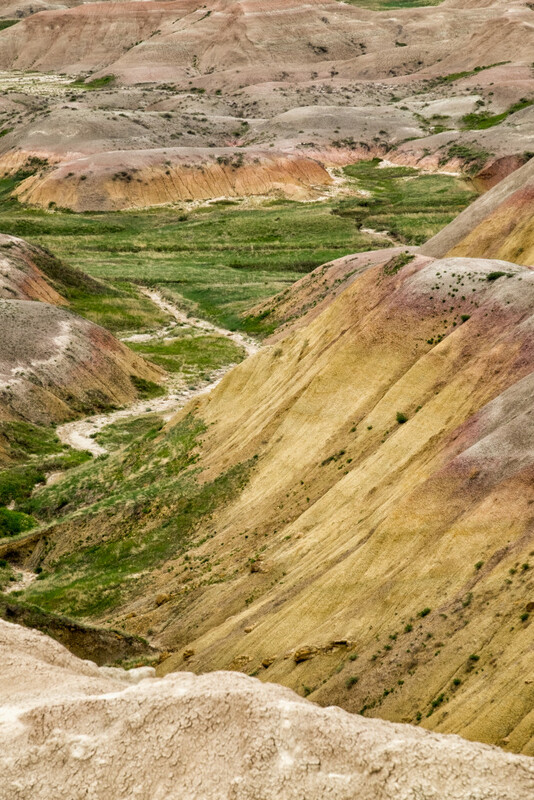 This entry was posted in The Grand Landscape and tagged Cowiche, Flora, flowers, Snow Mountain Ranch, Spring, wildflowers, yellow on April 29, 2017 by kgrafphoto. This image follows the approach shown in my last two posts. 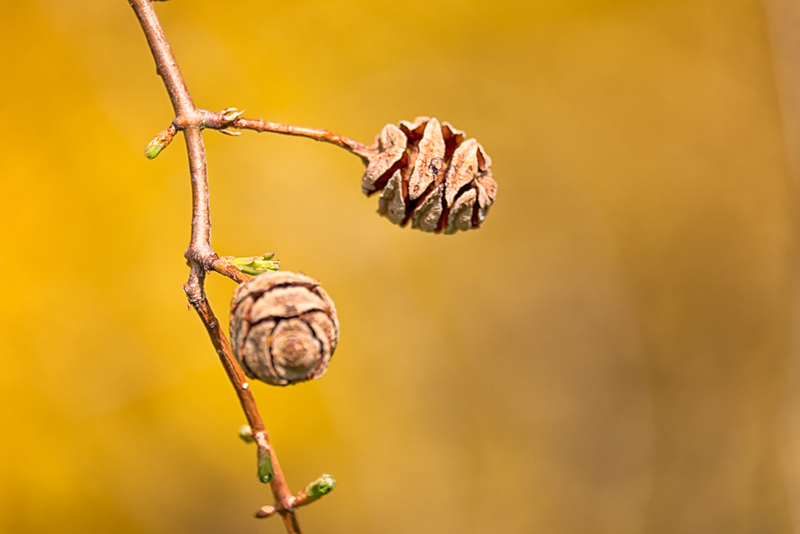 Here I used the bright yellow of the flowering Forsythia along the back fence line as a background to force the viewers eye to the small 1/2″ Dawn Redwood Cones. There is something interesting around every turn in our garden. This entry was posted in Flora, Our Garden, The Intimate Landscape and tagged Fountainville, garden, Spring, yellow on April 29, 2014 by kgrafphoto.